‘Sweet Jesus,’ it’s a PEEPshow! This Peep art was sponsored by the Carroll County Arts Council of Maryland. Check out their flickr page for the other entries in last week’s fourth annual PEEPshow. 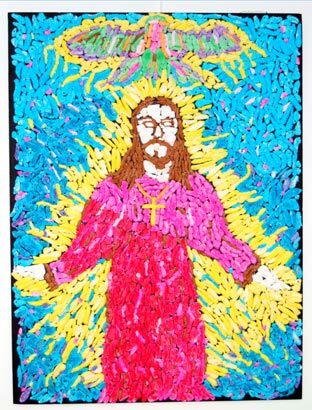 This entry was posted in Jesus Kitsch and tagged carroll county arts council, peep art, peep jesus. Bookmark the permalink. 2 Responses to ‘Sweet Jesus,’ it’s a PEEPshow!